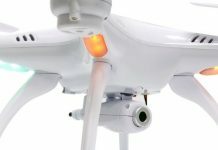 REMEMBER: You Will Discover 6 BEST Drones for Sale This Year! Number 5 Is Really Interesting! These Tips Helped Over 19,800 Readers! Pros & Cons with Videos and Pictures INCLUDED! It may sound like the work of science fiction, but drones are quickly making their way into homes all over the world. For the average consumer, a quadcopter is the drone of choice, allowing you to record and capture video, or simply learn how to fly. Quadcopters come at an affordable price and are easy to fly. Let’s take a look at the six best models for sale that you just have to see. 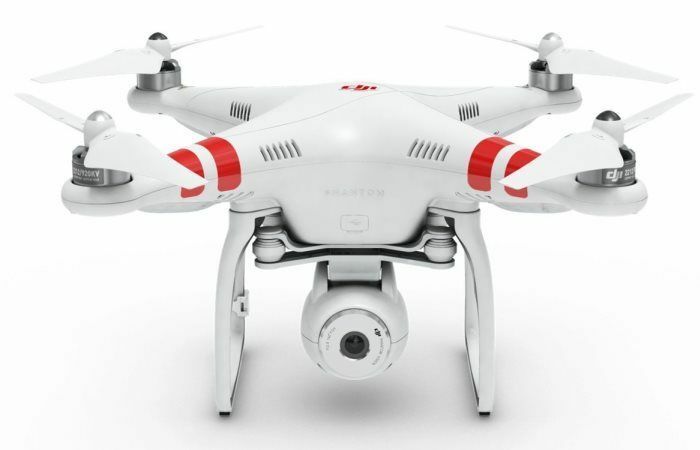 The DJI Phantom 2 comes at a high-end price, but is one of the most advanced quadcopters on the market. With HD video recording capabilities, an extended flight time and easy operation, this is a drone that’s great for both beginners and experienced users. DJI Phantom 2 Vision Quadcopter markets itself as offering an unprecedented photographic experience. A 14MP camera allows you to take aerial photos with stunning clarity. It also shoots HD video at 1080p. The included 4GB micro SD card allows you to capture and store photos and videos with ease. The drone’s camera also boasts tilt control features that stabilizes the camera, and the mobile app allows for remote tilt control. Flight data can be monitored in real-time and you can enjoy a live camera view of your flight for a distance of up to 300m using a WiFi connection to your smartphone. The GPS guided autonomous functionality allows your device to return back home safely and automatically. With a 25 minute flight on just one charge, this is an impressive machine. This one comes at a high price, but the exceptional features make it well worth the cost. The DJI Phantom 2 Vision is a great drone for experienced users, photographers and professional users alike. If you have a bigger budget, this is the one quadcopter you should invest in. 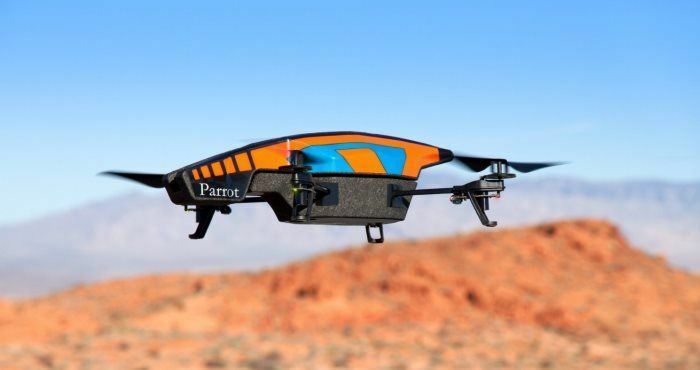 The Parrot AR.Drone 2.0 Quadricopter is a mid-range model that allows you to control the aircraft through your iPad, iPhone, iPod or Android device. It allows you to record and share high quality photos and videos in-flight. The AR.Drone 2.0 allows you to record and share HD 720p videos with ease. 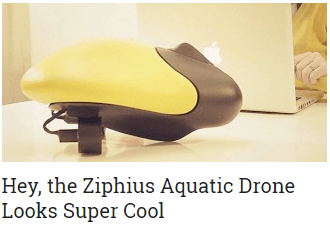 This quadricopter features a wide angle lens and low latency streaming. Controlled by your iOS or Android device, the FreeFlight app offers numerous features that a traditional control pad cannot offer. The one features a 3 axis gyroscope, a 12 minute flight time and an impressive control range of up to 165 feet. The WiFi connection is convenient, but obstructions (trees, walls, etc.) can disrupt the connection. Charge time is 90 minutes and flight time I just 12 minutes. For a beginner or intermediate user, the Parrot AR.Drone 2.0 is a great choice. 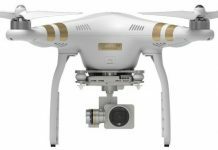 It comes with some of the same features high-end drones come with, but at a more affordable price. While it would be nice to see a longer flight time, the WiFi connection capabilities and ease of use make this one a smart buy. 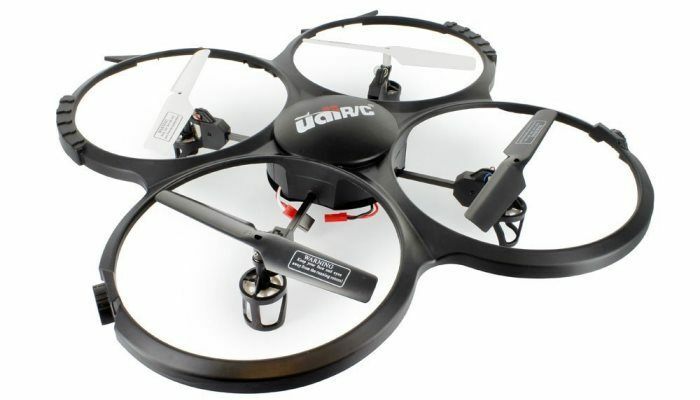 The UDI U818A is a 2.4GHz, 4 channel, 6 axis gryo quadcopter with a built-in camera. Affordably priced, this is a great option for a first model. The UDI U818A is a great, lightweight quadcopter that’s durable and boasts a pretty impressive battery life. With a remote distance of 30m, you can take longer flights and capture every minute of it with the built-in camera. The U818A can perform 360 degree flips, record video and take photographs. 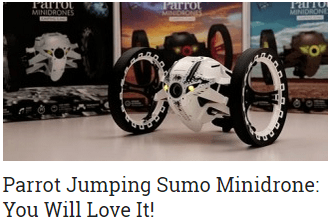 The copter features a 6 axis gyro and posture control. This allows for precise positioning and makes it easier for beginners to fly the aircraft. 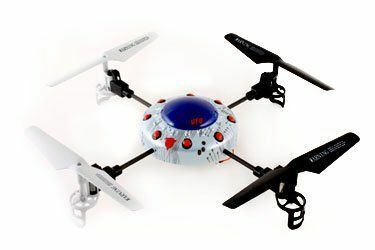 The quadcopter’s 4 channel function adds to the ease of operation and also provides stable flying. 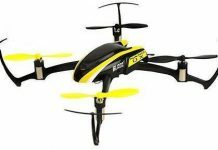 This model comes with a high capacity battery and powerful motors that allow you to fly more efficiently and for longer periods of time. The design of this quadcopter is modular, so assembly and repair is a breeze. Charging time is approximately 120 minutes and flight time is approximately 6-9 minutes. Operation is easy to learn and the drone itself is surprisingly durable. The six to nine minute flight time may be disappointing to some users. Having extra batteries on hand can extend the flight time. 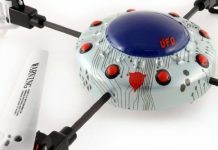 The UDI U818A is a great drone for beginners. The built-in camera allows you to record video or take photos, and the aircraft is easy to control. Priced under $100, this is a smart buy and a great choice for a first quadcopter. 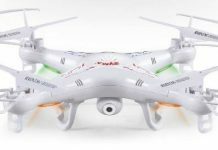 The Hubsan X4 H107C is a 2.4GHz, 4 channel RC quadcopter with a built-in camera. While it may not shoot HD video, this is an affordable drone that’s easy to fly and super stable. The Hubsan X4 is a great machine for both beginners and advanced users. It features two flight modes: beginner and advanced. Beginner mode gives you a chance to learn the basics of flying, while the advanced mode allows you to execute flips. 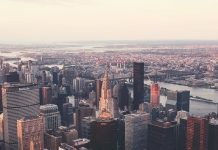 While the camera may not have HD recording capabilities, the clarity and quality of the video is pretty impressive – especially in this price range (under $100). This is a small device, but it’s durable, sturdy and easy to fly. The Hubsan X4 may not come with the high-end features that the DJI quadcopter comes with, but it’s a great choice for casual users and beginners. Priced under $100, this is a great starter drone that’s surprisingly stable and can record high quality video. The Estes 4606 Proto X is designed for indoor use only but is packed with some great features that make this drone a must-see. The Estes 4606 Proto X is a great drone for young users or those who are just learning how to fly a quadcopter. This is a super small model that’s only 1.8” x 1.8,” which makes it a great option for learning how to fly. The small size is the primary reason why outdoor flying is not recommended. It features four LED lights that indicate the front and back of the quadcopter. These lights also help in low light situations. The transmitter runs on two AAA batteries. A 4-channel, 2.4GHz radio control allows for a stable flight and makes the drone easier to control. For under $50, the Estes 4606 Proto X is a great mini drone for users who are just learning how to fly. While it may not be able to record video, the Proto X is a fun little toy that will provide you with hours of enjoyment. The Syma X1 is another affordable model that features a 2.4Ghz, 4-channel radio control. This is a basic machine with limited capabilities, but a great choice for anyone on a budget or just enjoys flying UAVs. 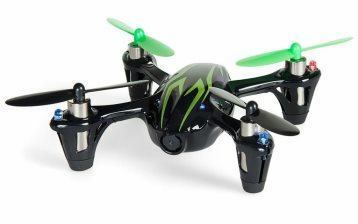 The Syma X1 comes with two flight modes: indoor and outdoor. The 3-way precision controller allows you to move the drone up or down, right or left, and forward or backward. The quadcopter’s stability and agility allow you to perform 3D maneuvers, like flips, rolls and pirouettes. With a controlling distance of 40 meters, this one has a great range for a budget model. The Syma X1 is the perfect drone for users who don’t care about capturing video and are purely interested in learning how to fly. With a price tag of under $50, this is a model that should be on any enthusiast’s must-have list. Hello folks. 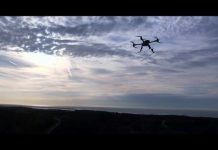 My name is Mike and I want to make this the best site about drones and quadcopters. I hope you enjoy your stay in here. Take care. 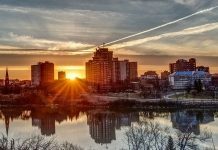 Connect with me via Google+. I would so love a DJI Phantom 2 for my birthday! It looks really badass not to mention what it can do! I love that it can fly for almost half an hour and that you can control the video with your smartphone! I wonder how many minutes of footage and/or pictures it can take on that huge, 4GB micro SD? Hey Chris, yup that is good question. One thing to ask though. Are you an experienced pilot? If not, go for something cheaper. I definitely agree. go with a cheaper drone for your first one. I made the mistake of going top of the line the very first time, and found that I wasted all of my money in a big crash! The extra smartphone control is really appealing. 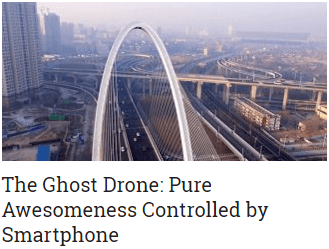 are there any other drones on the market that can do that? 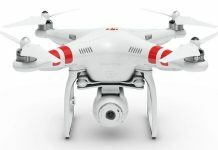 I can’t believe the DJI Phantom 2 is just $1000 right now on Amazon! Are you kidding me?! This is definitely a steal and if I can get my hands on another $300 (hopefully before they raise the price back to $1400) I will get one for sure! I was thinking of getting a new PC but when I saw this I changed my mind big time! The Parrot AR.Drone 2.0 Qaudricopter is great and I know this first hand because I’ve had the pleasure of flying one. One of my friends got one for his birthday and he lets me use it sometimes. I know the charge time is 90 minutes and it can only fly for only 12 minutes but those are 12 glorious minutes! And it’s very cheap compared to other models. Of course I did notice the price – very attractive. And the drone looks nice too. Since I saw the UDI U818A I can’t sleep at night! I really, really want it and I’ve been begging my dad to get me one for the last month or so. And just when I was getting used to the idea that my father will never pay $500 for this, Amazon answers my prayers and reduces the price down to… $63!!! I couldn’t believe my eyes and had to refresh the page 3 times to make sure before I go screaming through the house! My dad just placed an order and it should arrive in a couple of days! Wow Jessica, could you come back and share your experience with this copter?? I hope you will be happy with your purchase!! 🙂 Thanks for stopping by. 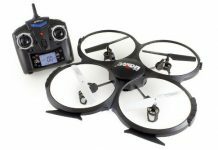 I would be so happy if my parents get me a Hubsan X4 H107C for my birthday next week (hint, hint mom and dad)! It’s so cheap and I really like the way it looks and what it does. I want something for beginners and it’s great that once I learn how to use it properly, I can fly in the advanced mode. Hey Jackson, X4 looks like the ideal copter for you. Keep us updated!!! The Parrot AR.Drone looks great and it’s a great price. 12 minutes on a 90 minute charge sounds like it could get infuriating but at least you can get spare batteries. I guess I’m not thinking of the flight time with drones in mind. I wonder how much quality footage I could get with only 12 minutes of light time? The DJI Phantom 2 Vision Quadcopter has all the features that we need in a drone so buying it means a lot. If I will have to buy a drone that I can use in variety of purposes I will choose DJI because of it outstanding features. The price is really high compared to the 5 drones mentioned above but if we really want a drone that can satisfy our cravings for flying and taking aerial photos, we should choose this type this quadcopter. I agree that DJI Phantom 2 Vision Quadcopter has it all and definitely worth its price. Upon learning all its features, I become more interested in buying it very soon. The price is fair enough for all the amazing features that are on it. I love it! This will definitely bring my drone experience in a new level of excitement. Coolness!- that’s one word that I can use to describe this thing! The DJI Phantom 2 Vision Quadcopter definitely has my vote. It’s a much sleeker design – the others look sort of like something out of Toys R Us, which is cool in it’s own way I guess… but not quite what I have in mind then I’m thinking about my new drone.